Overwhelmingly Positive (178) - 95% of the 178 user reviews in the last 30 days are positive. Overwhelmingly Positive (10,257) - 98% of the 10,257 user reviews for this game are positive. 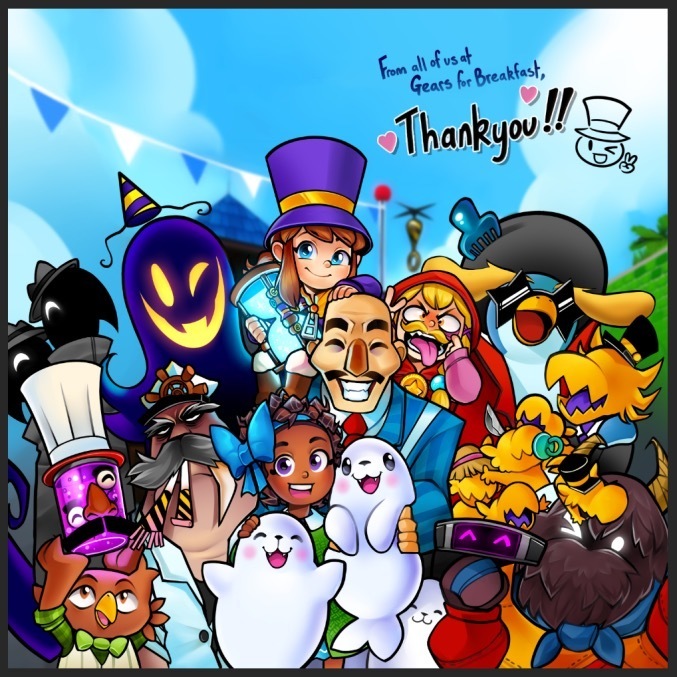 We have important news regarding the Community-Made Curated Items! We are coming down to the end of the program, and want to make sure to let you all know to please get your submissions in as soon as possible to be considered for inclusion in DLC 2. We know there's been many questions on selection and notification. After our final review period, any mod that is selected will be contacted by the Gears for Breakfast team in the upcoming weeks. We are so pleased that we have been able to open this up to our community. Thank you to everyone who has taken part so far, whether you’ve entered your own submissions, or voted on your favorites. We are so excited to see what is to come from these final days! 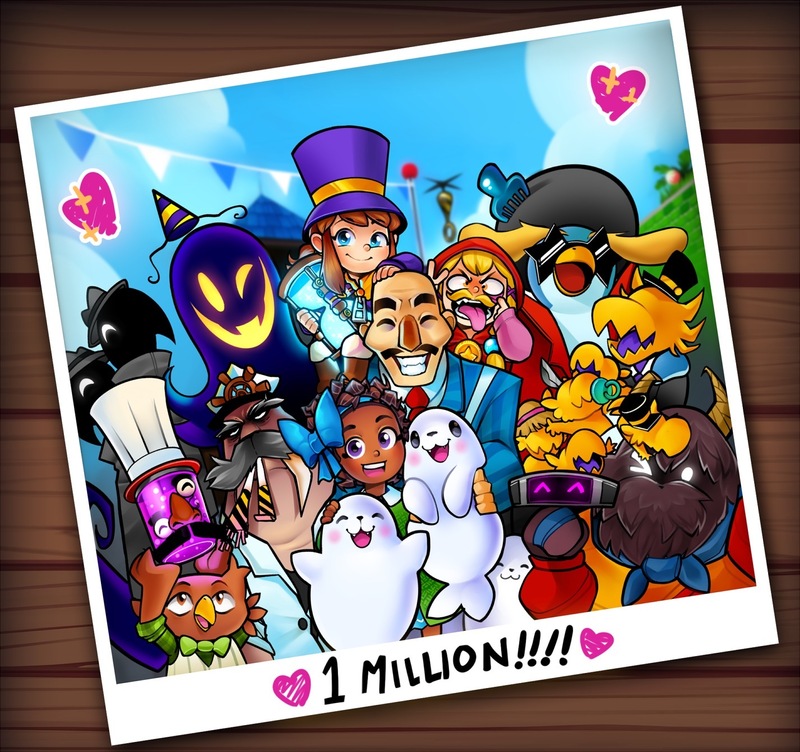 A Hat in Time has sold over one million copies! From all of us at Gears for Breakfast, thank you!! To celebrate this milestone we have created a limited edition print!! Get yours below! 303 Curators have reviewed this product. Click here to see them.